Hello, I am Vanessa from DIY180 and I’m thrilled to be here today. Thank you Debbie for having me here today and have fun on your trip. 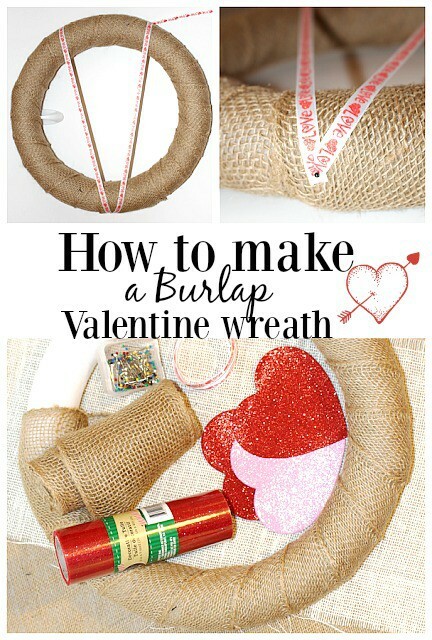 Today, I am sharing how to make a burlap Valentine wreath. My favorite time of year after Christmas is Valentine’s Day. Do you love all the heart shapes, candies, glitter and red and pink decor? It’s lovely and this year I am sharing with you an easy Valentine wreath you can make in about 20 minutes. 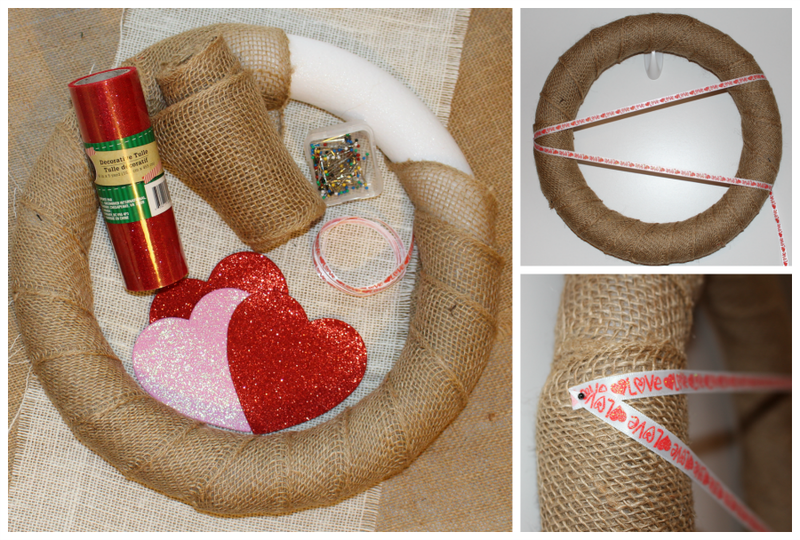 Most of the supplies came from the Dollar Tree and this wreath can be easily changed up once Valentine’s Day is over. I wrapped my foam wreath with burlap ribbon and secured it with straight pins. Next I added a Valentine ribbon and placed it in a V shape on the wreath and secure with straight pins. 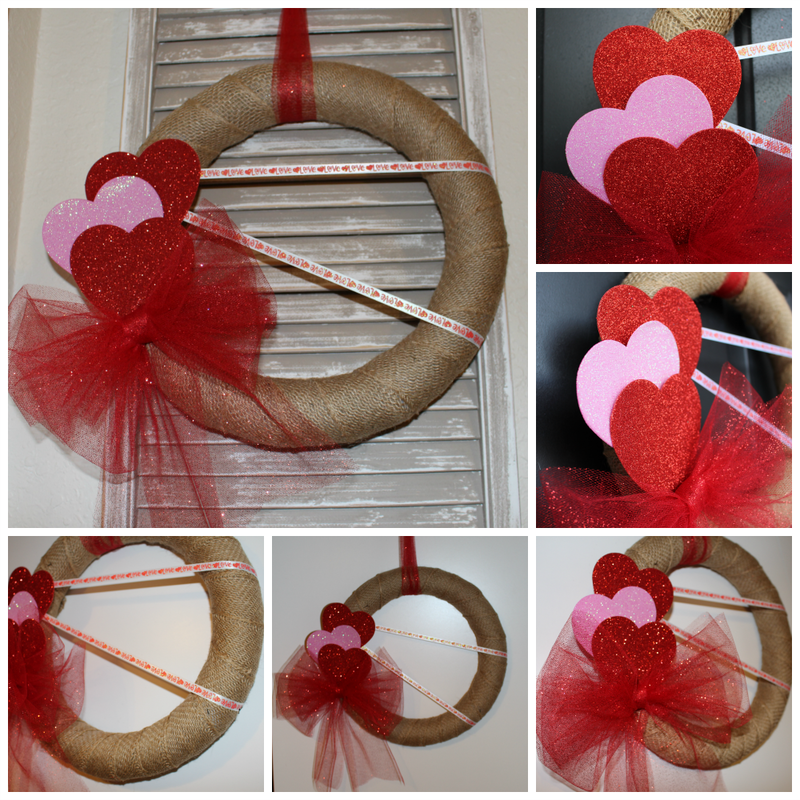 I found these fun foam hearts at the Dollar Tree and knew it would be perfect for this wreath. I placed three hearts on the side of the wreath and secured them with straight pins. I created a bow using the tulle and secure with a couple of straight pins. 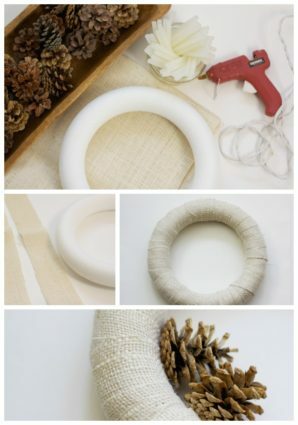 Didn’t I tell you this was an easy wreath to make. The best part about this project is that I used no glue just straight pins. I will remove the straight pins and add my new decor for Spring. How awesome is that? Thank you Debbie again for having me and thank you for stopping by. Happy Valentine’s Day! I have really enjoyed my featured guest. They have shared all things that I personally love, and would do and create. Of course, as you can see, with their own style. Rachel’s, Budget friendly Valentine art, please take a moment to visit these fantastic bloggers as well. If you are new here, stick around! I always have something fun, friendly and budget friendly going on. Off to go sailing now…whooo, hooo. I am so excited. How sweet is that!!!! Thanks for sharing and hope Debbie has the time of her life! Thank yo Debbie for having me. This is so cute Vanessa!! The dollar Tree always has so many great Valenitne’s decorations! This is so darling! 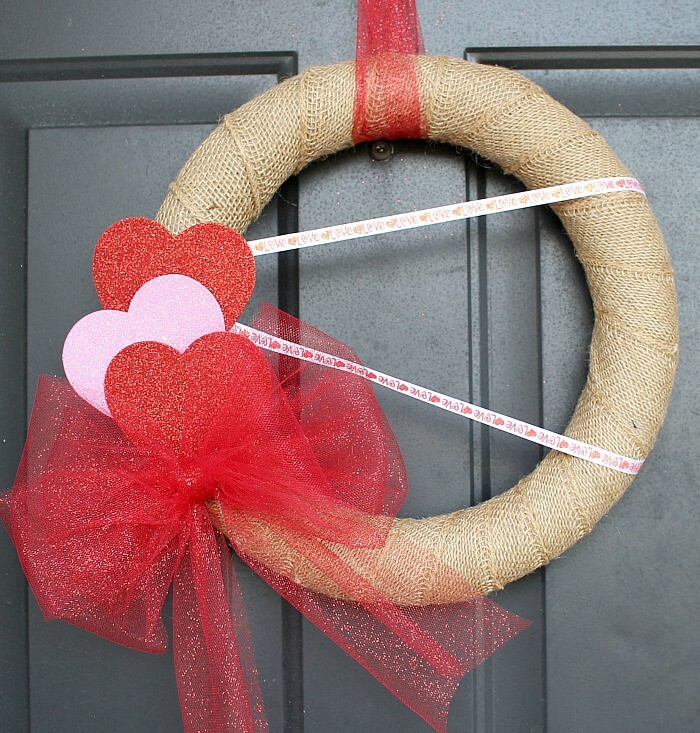 After Valentines Day you can still use the same wreath for other occasions! Never thought to use pins not glue!